Picture From This Morning | Second Go! 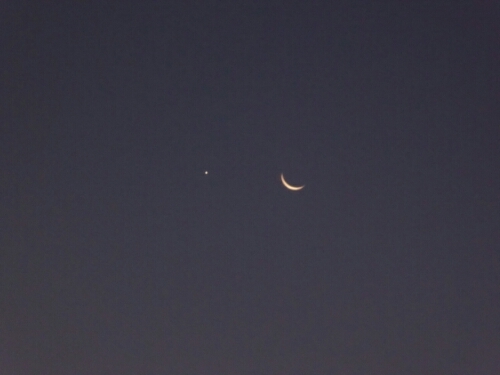 Got up this morning and Venus (?) 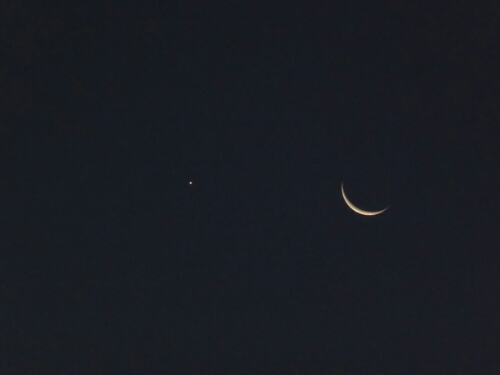 was right next to the moon, so I thought I’d try and get a picture with the new camera. Came out pretty good I think. I am running really late today, so TTYL! Your night sky does not show many stars? This was taken about dawn, so the sky was pretty light. We get pretty good stars at my house, but not great.